Reboot the Apple TV device. Check that both devices have an active connection to the Internet. Restart SuitestDrive or the (Xcode) host computer. As a last measure go through the pairing process again. You'll need to unpair your device in Xcode by navigating to Window > Devices and Simulators and remove your Mac from the list of remote devices on the Apple TV by navigating to Settings > Remotes and Devices > Remote App and Devices. The application that is being launched is signed with a provisioning profile that is not suitable for the currently connected device. Please re-sign the app and re-upload to the configuration. If you have the Apple Configurator 2 app installed, you can try to install you ipa file manually and then verify that the signing is correct. The Apple ID used with Xcode currently logged in is incorrect. Please verify that the logged in account matches the Team ID specified. Check that you have inserted the correct Team ID during device setup, you can find the ID in Xcode Settings > Account. Run brew install autoconf in your terminal then resolve the errors displayed. Update Homebrew by running brew update in your terminal then resolve the errors displayed. Xcode and the Apple TV have issues connecting. Please reboot the Apple TV and try again. If the issue persists up-pair then pair the device once again. If you are having trouble starting tests due to "Failed to initialize device control", consider increasing the server timeout in the configuration file. Unpair the device in Xcode by navigating to Window > Devices and Simulators. Remove all cables except the power cable and reboot the device. Plug in the USB-C cable and follow the Pairing Xcode and Apple TV section. Please ask your friendly system administrator to take care of these issues for you. Logged in user does not have rights to install in /usr/local. Please add read and write rights to the current macOS user or contact your device administrator. If elevating rights does not solve the error please contact our friendly support team. iOS Deploy is not found, could of been removed after resource installation. Issue between pairing of Xcode and Apple TV. Please reboot both the Mac Xcode host and the Apple TV. Xcode cannot find the device with the specified UDID. Verify that the device is connected or paired with Xcode. You may need to re-pair the device to Xcode. 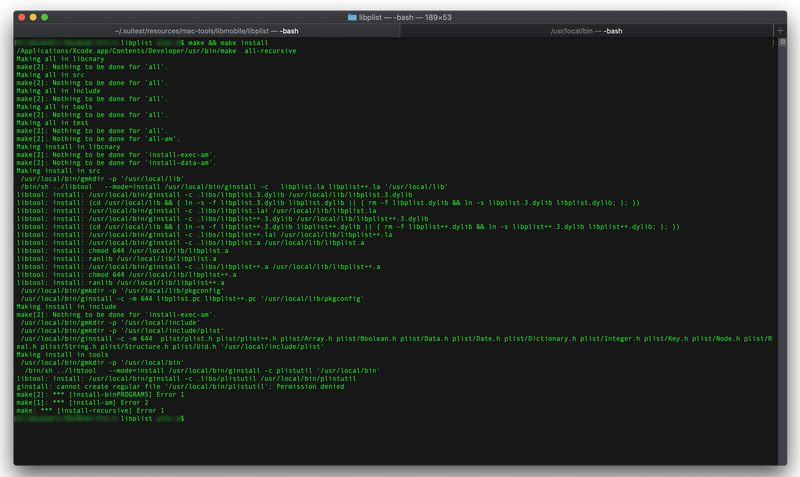 Xcode command line tools (CLI) are outdated compared to the currently running tvOS version. Please make sure the versions match. You can check the version by navigating to the following: XCode > Settings > Locations > Command line tools.